Beauty Costs > How Much Do Hybrid Contact Lenses Cost? Hybrid contact lenses, often worn by those with irregularly shaped corneas, are lenses larger in diameter and have a rigid gas permeable central zone, surrounded by a peripheral zone that’s made of a softer hydrogel material. These lenses were designed to provide the clarity of GP lenses but with the comfort of soft lenses and can treat a wide variety of problems, including astigmatism, keratoconus, presbyopia, myopia, and hyperopia. On average, be prepared to spend about $300 to $500 every 6 to 12 months without insurance. 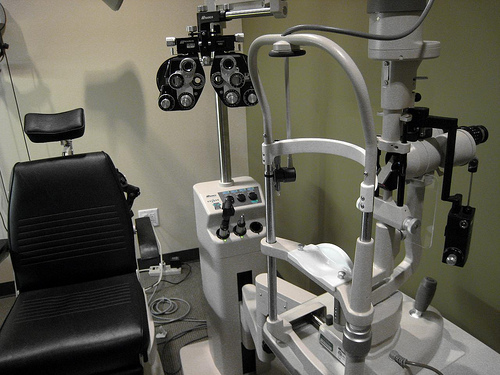 The costs will depend on your optometrist, the brand, the exam fees and how many follow-up visits are required. Keep in mind that if you were to have a vision insurance plan, you may be covered and will only be responsible for the deductible and co-pay. At East Dallas Family Eye Care in Dallas, Texas, for instance, hybrid contact lenses cost $400 for patients who do not have insurance. The price includes an additional pair of lens for emergency situations. The pair of lenses lasts generally between two and three years. According to Eye Dolatry, hybrid contact lenses, such as the SynergEyes Duette Multifocal, cost around $200 to $300 a set, and each set will last for about six months. The website also adds that the fitting fee for these lenses is also expensive since several visits are required to obtain the perfect lens parameters. According to Review of Optometry, it is common for practitioners to charge $400 to $500 for a pair of hybrid contact lenses and $300 for evaluation and case management. As with other contact lenses, hybrids are no different when it comes to a prescription. With that being said, an eye exam is a must and can cost close to $100 for just the exam. Ordering hybrid contact lenses online may entail shipping charges, but in most cases, it may be waived if you meet the minimum spending requirement. Hybrid contact lenses have a rigid gas permeable center with a soft periphery. These large in diameter lenses are designed to correct corneal astigmatism by means of the natural tear layer behind the lens, offering the same visual clarity of GP lenses. Hybrid contact lenses are usually prescribed for patients suffering from keratoconus, a progressive eye disease in which the cornea becomes thinner and bulges forward, taking the shape of a cone. Hybrid contact lenses, such as the ClearKone brand, are designed to vault over the cornea, minimizing the risk of corneal scarring. The vault system comes in several choices and accommodates even the most severe conditions of keratoconus. The doctor chooses a vault that clears the cone so the RGP portion (the hard part) of the lens does not come in contact with the cone surface, essentially eliminating the odds of a scarred cornea. Fitting hybrid contact lenses for patients with keratoconus takes time, and the patient is required to comply with follow-up appointments until a final solution is found. If you are not prepared or willing to follow all of the steps and instructions exactly as given, trying these types of contacts may be a waste of time and money. Consult with your doctor to see if you’re deemed a good fit and if the process of fitting can work for your condition. Ask about discounts before purchasing. Many retailers offer discounts on bulk orders or the manufacturer may have a rebate available. Even if you’re loyal to an optometrist, it doesn’t hurt to compare services and rates with other companies in your area. If you find a better rate, your optometrist may be able to match it. Contact lenses designed for keratoconus or similar diseases are regarded by most vision insurance plans as being medically necessary. The costs involved with the lens fitting and the services of the fitter can be expensive, but these fees can be completely or partially offset by a patient’s insurance plan, so be sure to check with your plan before signing up for an appointment. If you are looking for a new health insurance policy or maybe want to switch the one you currently have, consider browsing through hundreds for free at eHealthInsurance.com. Paid $550 for two sets (1 year) in Southern California.